2001—especially following the news that all of the perpetrators in Paris were European citizens. A sought-after commentator in France and a widely respected international scholar of radical Islam, Farhad Khosrokhavar has spent years studying the path toward radicalization, focusing particularly on the key role of prisons as incubators of a particular brand of outrage that has yielded so many attacks over the past decade. Khosrokhavar argues that the root problem of radicalization is not a particular ideology but rather a set of steps that young men and women follow, steps he distills clearly in this deeply researched account. 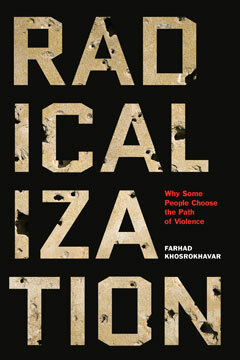 With insights that apply equally to far-right terrorists and Islamic radicals, Khosrokhavar argues that our security-focused solutions are pruning the branches rather than attacking the roots—which lie in the breakdown of social institutions, the expansion of prisons, and the rise of joblessness, creating disaffected communities with a sharp sense of grievance against the mainstream.